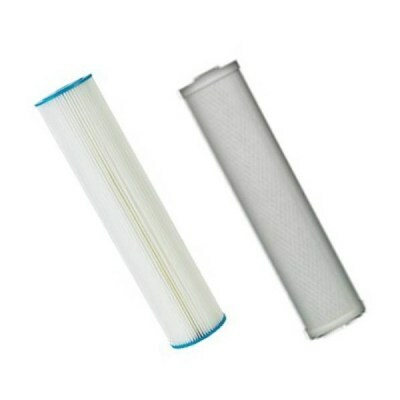 This top of the range Osmio Pro Whole House Water Filter System comes complete with the filters and accessories you need and will give protection to 5 micron and provides complete chlorine reduction using the NSF Certified 5 micron Carbon Block. The system also protects your water heater, washing machine, refrigerator, ice-maker, and other appliances from the potentially harmful build-up of sediment, dirt, and rust. Our new Whole House System filters your mains tap water supply to your whole house so that all the taps in your home will supply good quality filtered water. Enjoy better water everywhere in your home. 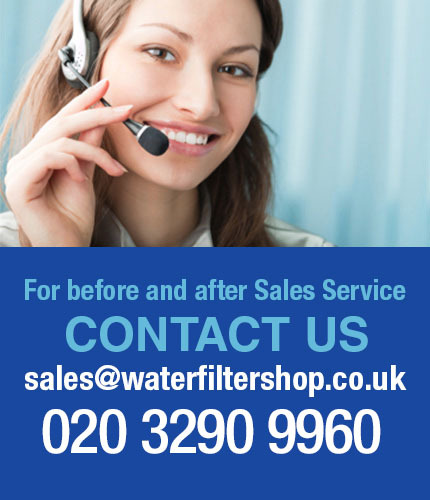 We recommend using point of use water filter systems in addition to the whole house system for the very best quality. Chlorine, Pesticides, Herbicides, Industrial cleaners, VOCs (volatile organic compounds), MTBE (butyl ethers), THMs (trihalomethanes) and PCBs (polychlorinated biphenyls). Power consumption : None. Unit works off water mains pressure. 2 x Straight Compression Coupling M/I 22x1"